@justanotherfan but not enough to get his son hired. Had. His act has gotten ahem old. It’s sunset time. Hope it doesn’t Paterno him, but I do hope for KSU he disappears only to return for fund raisers as requested. Because it’s in his contract that he gets input on the next coaching hire. 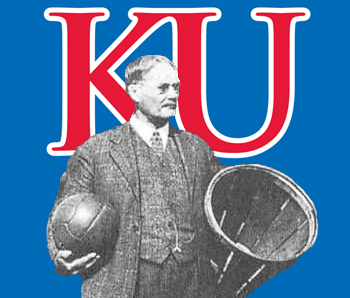 @FarmerJayhawk what was that official title? @FarmerJayhawk As in he has a say, or input that can be ignored? Seems like he’s run his course in Manhattan. I’d listen to what he has to say and do whatever I wanted, were I the AD. Or is Snyder the AD too? Oh yeah, ambassador, does that mean he chooses the next coach? If he really gets a big say in who the next coach is and what he does, they may as well kept him around another year or 2 because that is going to run off several coaches. Coaches want to run the ship without someone over their shoulder at every turn. I believe the language is “give appropriate input on hiring the next coach” or something really similar. I think it’s intentionally ambiguous. If he gets his way it’ll be Leavitt. Sean isn’t interested. @FarmerJayhawk The lack of interest is similiar in the fan base out here regarding Sean. Actually it’s more of a please, no! Leavitt perks up ears. Littrel gets a blank stare. What has really surprised me is that in virtually every list of “possible coaches” I’ve seen, Leavitt is NOT on the list! I had kinda understood that he was a shoo-in to replace Snyder. I don’t think he’s even been “interviewed” in Manhattan by the AD like several others have been. Guess the guy from NDSU who seemed to be the front runner for a while was not offered, at least not yet. Does sound like there is a “tug of war” going on in Manhattan between someone(s). Thought they would have decided by now…but the longer they wait I think the better for us! The scoop that I got was Littrell was offered the job but they wouldn’t allow him to bring in his whole staff and couldn’t agree with North Texas on the buyout. So hard to tell fact from fiction on these deals til someones name is on the dotted line and announced. @dylans Not to nitpick, but aren’t there lots of blank stares among that fanbase in general? KSU has a new coach, Chris Klieman from North Dakota State. @Kcmatt7 I actually think it is a great hire for KSU. He fits what they need very well. I also don’t think he will jump ship if he is successful for a few years like Littrell, Brown, Norvelle, etc… would have. He knows how to develop talent and find under the radar guys. I also saw a quote from the Miege coach saying he is very impressed with him and has a relationship with him from NDSU recruiting some Miege players. This is a good hire for KSU provided he can do his job without interference from Snyder. The biggest challenge for him is going to be recruiting. The step up from FCS to P5 is probably three steps up the recruiting ladder. It will be interesting to see how he does recruiting against Texas and Oklahoma. And Les Miles for the Kansas kids!